The Death of British Lad Culture: What Does It Mean For Branding? For the last two decades, British lad culture has seemingly reigned supreme, with the ubiquity of The Lad Bible, Jägermeister, casual misogyny and ‘banter’ sending a chill down the spine of many. Finally, however, the tide appears to have shifted. The much-publicised closure of lads’ mags FHM, Zoo and Nuts last year signaled to many what they had been hoping for for years: the beginning of the end for British lad culture. This apparent shift in the behaviours and desires of many of Britain’s young men could have ramifications in many areas, but of most interest to us at Underscore is the effect it could have on branding. More specifically, how are certain brands changing the way that they speak to their key demographics? However, a quick look at Lynx’s latest offering suggests that these brands have made a radical change. Whether or not Britain’s young men have truly changed their stripes is unclear, but was is clear is that their favourite brands have started to change tack. Last year, beer brand Fosters dropped their popular ‘Good Call’ campaign after 5 successful years, with a shift away from associations with ‘laddishness’ cited as the main reason. Ifeoma Dozie, beer director at Heineken, suggested that “perhaps five years ago young men were more laid back and care-free, but we’ve found a shift to a more can-do attitude and of ingenuity”. Fosters have since announced a two-year sponsorship deal of the English cricket team, part of a wider strategy to develop a more up-market position. 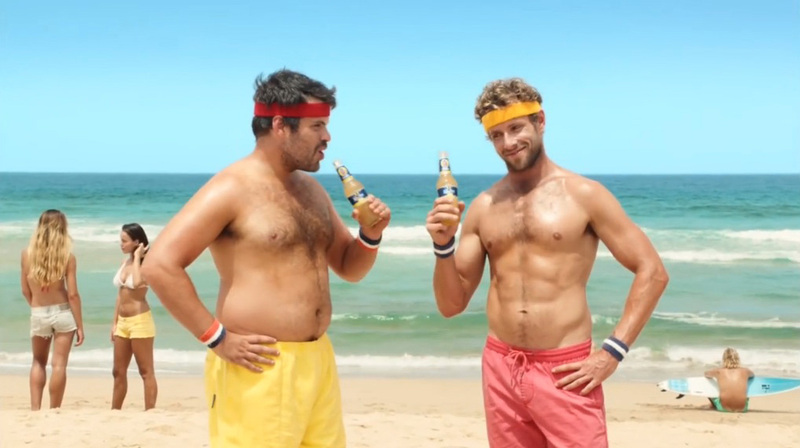 What is clear from the recent strategies of Lynx and Fosters is that young male consumers are becoming increasingly discerning, and won’t simply be wooed by blunt marketing tactics anymore. However, perhaps a bigger reason why brands are changing how they speak to young men is the democratising effect of social media. Previously, advertisers were able to aim their ads at very specific markets through the placement of their campaigns; WKD could bluster to the likely lads during half time, safe in the knowledge that unless you were a Stoke City fan with a penchant for fruity alcopops, you probably wouldn’t see it. Now, with social media making campaigns both visible and answerable to everyone and their dog, brands need to be extra careful with the messages they spread and the values they stand for.